E is for Explore! : Rattle Snake Eggs! Explore animal adaptations, while playing a prank on your class! All you need is an envelope, one paperclip, and a rubber band. When someone opens the envelope, they jump back because the sound of a rattlesnake projects from inside! 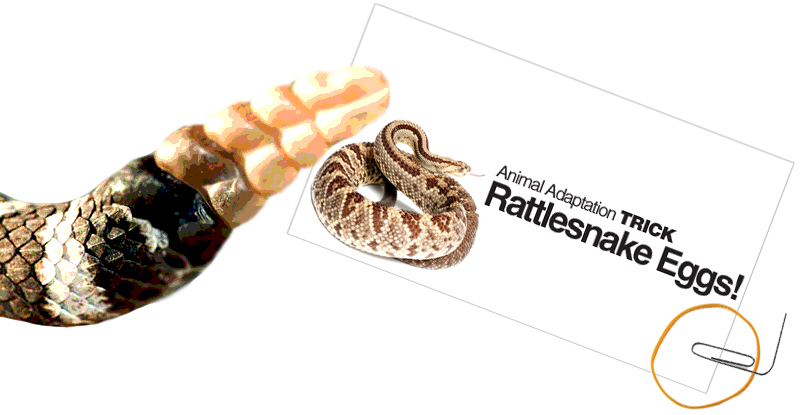 After you scare everyone, ask kids, "Why do rattlesnakes have a special tail?"